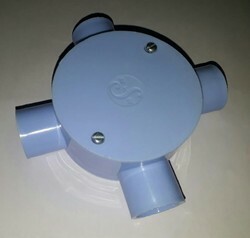 Manufacturer of a wide range of products which include fan hook box, electrical pvc pipe & fittings, 3/4 electrical pvc fittings, 3/4 elbow, fan box plate and electrical junction box. 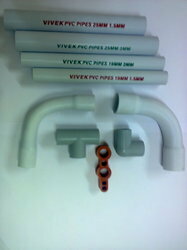 Our company has been acclaimed for offering an excellent quality Electrical PVC Pipe & Fittings. 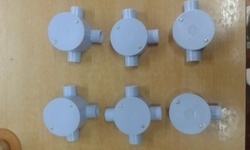 Our provided products are mainly installed in piping systems for laying lines of drinking water or water main supply. The offered products are tested in terms of quality in order to make certain its faultless range. These products are available on numerous specifications as per the requirements of customers. 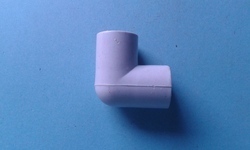 We are enlisted as a leading manufacturer and supplier of 3/4 Electrical PVC Fittings. These PVC fittings are manufactured by making use of excellent quality material in adherence to set industrial norms. Also, our PVC fittings are widely trusted for laying pipe lines of water main supply and micro and macro irrigation. 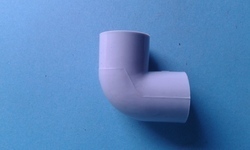 Customers can avail these PVC fittings at most affordable prices from us. We are backed by a team of highly skilled professionals and successfully manufacture 3/4 Elbow. 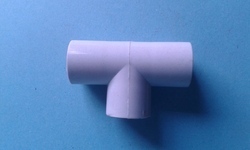 These elbows are widely used for connecting two pipes or tubes, allowing a change of direction. Also, we provide these elbows on different specifications to meet the frequent needs of our esteemed clientele. 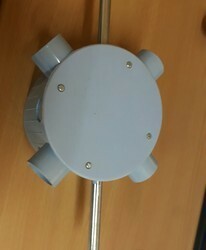 Customers can avail these elbows from us at industry leading price within promised time frame. 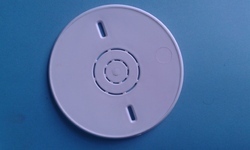 For meeting various requirements of our esteemed clients, we offer an excellent quality 5 1/2" Fan Box Plate. This fan box plate is made obtainable in various specifications to suit variegated demands of clientele. • Dimensional accuracy: 5 1/2"
We are the Leading manufacturer and Supplier of ELECTRICAL JUNCTION BOX.